Today, XQ Institute and the Entertainment Industry Foundation (EIF) announced that more stars will participate in “EIF Presents: XQ Super School Live,” a one-hour telecast and multi-platform event that will invite the public to help rethink the future of American high schools. 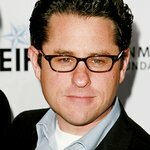 Among those set to participate are J.J. Abrams, Kelsea Ballerini, Maria Bello, Cate Blanchett, James Corden, Cindy Crawford, Michael Ealy, Matt FX, Salma Hayek Pinault, Sean Hayes, Allison Janney, JAX, DJ Khaled, Gayle King, Norman Lear, Marshawn Lynch, Joel McHale, Alano Miller, Hasan Minhaj, Lin-Manuel Miranda, Maren Morris, David Muir, Chris Paul, Tanika Ray, Conrad Ricamora, Adam Rodriguez, Al Roker, Ian Somerhalder, Karla Souza, Ringo Starr, Justin Timberlake, U2, Chris Wallace, Matt Walsh, Reggie Watts, D’Wayne Wiggins, and Jesse Williams, as well as East Los High stars Ashley Campuzano, Jorge Diaz, and Danielle Vega. The live special will also include musical performances by Kelly Clarkson, Jordan Fisher and Hunter Hayes. Dance star and social media influencer Dytto, and actor Jorge Diaz will host a pre-show that will stream live on Facebook, Twitter and YouTube starting at 3:30 PM PT/6:30 PM ET. They will appear in addition to Mahershala Ali, Common, Miranda Cosgrove, Portia Doubleday, Kevin Frazier, Bill Hader, Tony Hale, Tom Hanks, Samuel L. Jackson, Rami Malek, Thomas Mann, Randall Park, Melissa Rivers, Christian Slater and Anna Deavere Smith in the all-star telecast which will air live from Los Angeles on all four major U.S. networks – ABC, CBS, FOX and NBC – on Friday, Sept. 8 at 8:00-9:00 PM ET live/PT tape-delayed. The show will also stream live and be available on-demand on ABC, CBS, NBC, and FOX’s streaming platforms, as well as Hulu and YouTube. The telecast will also be available to stream in its entirety on Hulu the day after it is broadcast. Kelly Clarkson will perform a new song from her highly-anticipated forthcoming album. Kelsea Ballerini and Maren Morris will introduce country star Hunter Hayes, adding to the roster of musical performers including Jordan Fisher and Andra Day. Additionally, JAX, Ringo Starr, U2, Reggie Watts, and D’Wayne Wiggins will join the previously-announced star-studded finale performance led by Jennifer Hudson with Sheryl Crow, Max Weinberg and Max Weinberg’s Jukebox, Silk Road Ensemble with Yo-Yo Ma, MC Hammer, Jon Boogz and Sheila E.
Five student winners of the Brave New Schools #RethinkHighSchool competition will also join the on-stage lineup. In partnership with XQ Institute, Youth Speaks – a world leader in youth development and spoken word performance – launched a nationwide slam poetry contest. The Grand Prize winners include Carlynn Newhouse (Seattle, WA); Elohndra Brazzle (Des Moines, IA); Jalesha Johnson (Des Moines, IA); Jola Laguda (Quincy, MA); and Marissa Perez & Mike Davis (Pomona, CA). Each submitted an original poem, rap or story that addressed the contest theme: rethinking high school. In September 2015, XQ: The Super School Project launched an open call to rethink and design the next American high school. Thousands of communities across the country have since come together to reimagine high school education. “EIF Presents: XQ Super School Live” will highlight the incredible progress of this fast-growing movement, challenge the public to build upon it, and provide viewers with insight into how to spark this transformation within their communities. The star-studded event in support of the national education initiative will broadcast live from Barker Hangar at the Santa Monica Airport. In collaboration with Viola Davis and Julius Tennon, the telecast will be executive-produced by XQ Institute and Done + Dusted, and directed by Hamish Hamilton. Viewers can also join the movement by hosting a viewing party during the live broadcast. More than 500 viewing parties across all 50 states have already been planned. The telecast will feature a special Shazam integration. When viewers activate their Shazam app during a specific performance, they will receive a custom message from one of the many celebrities in the show telling them how to get involved. Furthermore, the show will include multi-platform digital components so viewers can engage and participate online, on mobile and in their communities. To learn more about the show and the movement, click here or text XQLIVE to 225568.